The seven stages of Alzheimer's are helpful in finding the words to discuss Alzheimer's. Caregivers find them particularly useful in support groups, as well as in conversations with doctors and other professionals. For more meaningful terms between professionals, caregivers and patients, a more detailed process has been characterized in seven stages. The seven stages are based on a system developed by Barry Reisberg, M.D., clinical director of the New York University School of Medicine’s Silberstein Aging and Dementia Research Center. This system calls a mentally healthy person at any age “Stage 1”. More than half of all people ages 65 and older complain of cognitive difficulties. This is considered a normal part of aging. At this point, there are mild changes in memory, communication skills and/or behavior, noticeable to family members and friends. Symptoms might be picked up by an alert physician. Many people will not decline further than this point. Notwithstanding, a majority do progress to Mild Alzheimer’s within two to four years. Cognitive symptoms are more obvious now. A neurologist can confidently diagnose Alzheimer's disease and treat it with medications that have been proven effective in slowing it down. 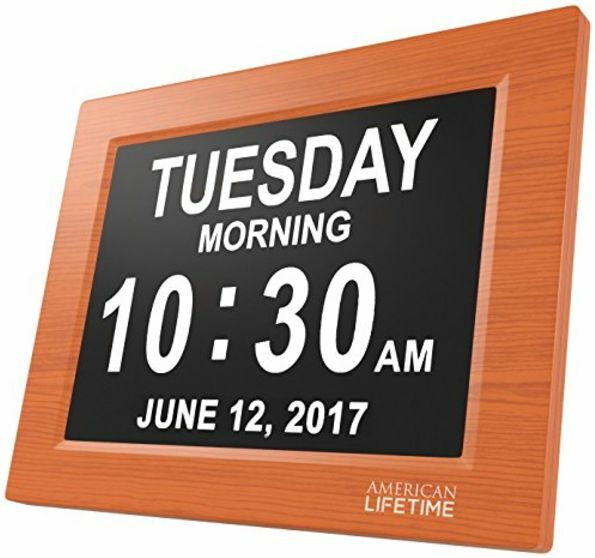 This is the stage at which it is not possible for a person with Alzheimer's to live alone. 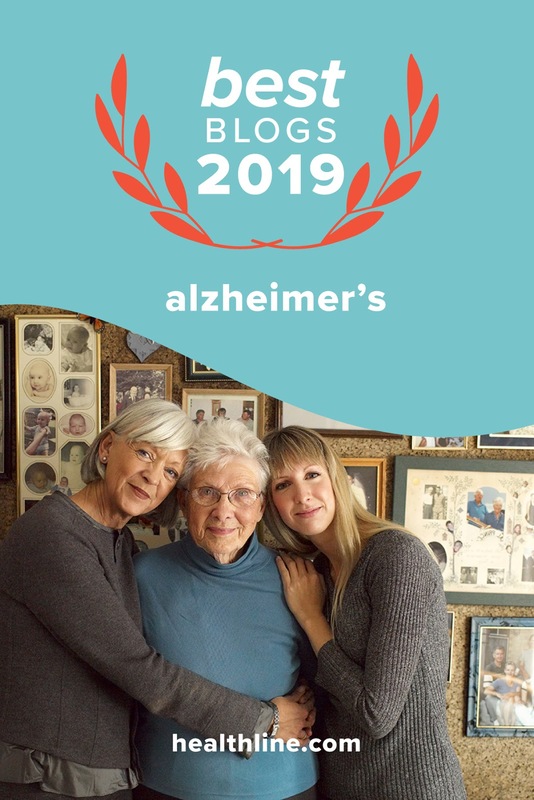 It is at this stage that family members often suffer the most, because the loved one with Alzheimer's loses much of the ability to recognize those around him or her, even a spouse, sibling, parent or child. Personality changes are common as well. This is the final stage of Alzheimer's disease, at which the long goodbye comes to an end. Even though the Alzheimer's person may somewhere inside really hear and understand what is being said, he or she can no longer respond, other than possibly to speak a word or phrase. The last stage of Alzheimer's disease, as with any other illness, is a very individual matter and no two journeys end the same way. People with Alzheimer’s seem to experience little physical pain. 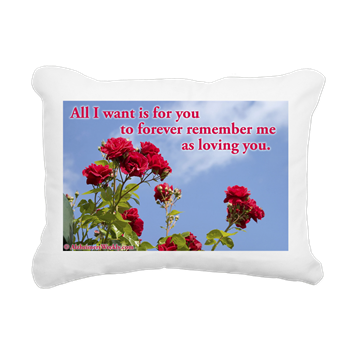 What is certain, however, is that every Alzheimer's journey ends – as does every other. May they all be peaceful and pain free. In this video, Teepa Snow shows what to expect, while keeping the focus on the person, not the disease. Interesting. Dad was given a clinical definition of moderately severe alzheimer's over a year ago. However, from reading this list he is somewhere around 4 or 5. Oddly though he's got about one symptom from each of the different steps & none of the other symptoms from other steps. 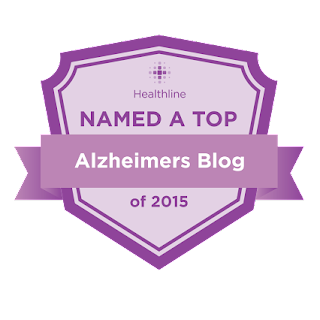 My husband has Alzheimer's and I am his caregiver. He has had it since he was 64 and now is 71. I am a retired and disabled nurse. His care varies from day to day. He does not walk much now and uses a wheelchair. He is almost totally incontinent. I fully dress him and change him. I am now having a lot of problems with sundowners with him. Seems like everything I have tried does not work. He was in the hospital over Christmas with a large blood clot in his lung. Very scarey moments. My dad also has a couple of symptoms from each stage. He also talks like someone is in front of him - until he notices me looking at him. 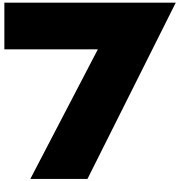 Once a person reaches stage 6 and them 7 how long is the average life expectancy? I think everyone should get their parent checked for Lyme disease because Chris Kristopherson was diagnosed with Alzheimer's and had it for years till his friend who is a doctor had him tested for Lyme disease. He got his memory back and he's back working again. It's worth a shot to check it out. We take care of my husband's uncle nobody didn't wont the responsibility so we said we would handle it. He has symptoms from each stage also an we have began the sundowning stage he will sit fidgeting until we lock the house down he thinks someone is going to get him no matter how much we to tell him he is safe it doesn't matter he wants all lights off except his night light he will try to go to bed by 5:00 in the evening. An it does get alittle frustrating. What I just don't get is when he goes to restroom he won't flush the paper in toilet it goes in trash can. An he hoards paper towels *when there is plenty* we find them everywhere an he just recently started pulling the poop ones out of can an wiping face we had to hide everything an lock it all up. Towels,toilet paper,bread everything! Never wandered, never forgot people from recent or long ago past (but did mix up names), can't remember what he had for dinner but can play 21 as well as any of us. Has retained all basic math functions, decreased personal hygiene skills, increased desire to sleep, reduced awareness of recent events but still can handle a full phone conversation with me every evening with every word correct, mildly incontinent, no confusion, no agitation but no really recent memory. Remembers everything about every town he used to live in up to 2 years ago. I have both parents with alzheimer's & they are as different as snowflakes. My dad's dementia has not changed in over a year. The same impairments as a year ago but my mom went from 0 - almost dead in a year & a half. They are all so different. It makes me wonder if it is the brain & which sections are affected or what it is. At least my dad is with it enough to still have a high quality of life. i am sorry , i just have my mother with it . between stage 6 and 7 . one thing i really noticed about my mom , her eyes changed from green to bright blue . My dad had Alzheimer's and was like your mother. He went downhill very quickly. I think of that as a blessing. When he forgot how to swallow, that did him in. Mom has dementia now. I'm afraid hers is going to drag out. She can't remember the house she lived in for 35 years. I don't think she knows our names, but I think she knows the relationships. She has been living with us for 3 years now. Recently, she told me she had forgotten how to put her incontinence pads onto her underwear. (I let her do as much as she can for herself) Sometimes she forgets what she's supposed to do with her medications. (put them in her mouth and swallow them) I am the primary caregiver (no siblings) and it really gets depressing. Fortunately, my husband is VERY understanding and helps me get out of the house from time to time. My mom has Alzheimer's/dementia. So does 2 of her sisters (my aunts). My grandmother passed away from the same symptoms. It's crazy. It makes me wonder if I will have the same fate. I've been her care giver since 2011. Her decline has been steady and progressive each year. She is now primarily at stage 6 with a few hints of stage 5 lingering. She shuffles so bad she's practically standing still when she walks. She's had some depression. It's harder on me because she knows what's happening to her and cries saying this isn't how her life is supposed to be. She falls asleep while eating now and also forgets how to take her pills. She has a tendancy to place her glass in her plate while she's eating, or will place her fork or bones in the plate next to her. She's recent'y begun wearing depends as day to day underwear because she very rarely will get up and go to the bathroom, or say she has to go... for assistance. It's tough finding encouraging words for her. I hug her and tell her I love you daily. To Dorothy: Have both your parents been diagnosed with Alzheimer's or just dementia? There are several kinds of dementia. Both my parents had/have dementia. My mother's was not Alzheimer's, my Dad's is "probably Alzheimer's type". My mother passed away within 2 years of her diagnosis. My father is still alive (89-1/2) 8 years after his diagnosis and is still able to carry on conversations. His short term memory of course is affected. I believe Aricept and Namenda have staved off quicker progression of his symptoms. These meds do not help other types of dementia, so our neurologist tells us. That may be the reason your parents' symptoms are taking different paths. We were fortunate to have a specialist in "Memory Loss and Dementia" who has given us excellent advice. If you have one, even if it is not in your town, I urge you to seek one out. It has helped us understand what is happening at each stage, what to do, and what to expect. Where do you live that you have a specialist in memory loss and dementia? I'm not happy with my husband's Neuro. Grams was diagnosed almost three years ago after forgetting to take her daily meds but getting "stuck" on taking her anxiety meds, 5-9 of them a day. She had a bells palsy incident that kicked it off about 5 months before and refused to go to the doctor after telling everyone she did. She has been living with me ever since. She has limited math skills, sundowners is common but not always, hygiene is limited...bathroom issues are always there and now we are entered the realm of paranoia and thinking she is dying daily. She remembers people and can maintain a phone conversation for the most part. Very moody and depressed and shifts blame all the time and swears nothing is wrong with her. She refuses to leave the house but does wander around the house occasionally. Has her days and nights mixed up most of the time sleeps all day and drinks caffeinated coffee at night...even tho we have gotten her the decaf. Swears food is bad all the time even when it was just bought! switch without telling her. both of my parents had this. I did a lot of lying. My mom was diagnosed with Alzheimer's/dementia back here in October. I came back to Illinois from Minnesota to take care of her. I have twin daughters who have been staying with her also. I was told to get out and my sibling says I have to get out also and I was the only one taking care of her no one else was. So now she is by herself and she needs 24 hr care. Her health is dwindling. Turmeric in pill form (2-3 a day) may help to slow this disease down as much or more then any drug as well as Coconut oil. My dad is in the last stages of Alzheimer's and we have given him Turmeric in pill form and noticed a difference of staying awake for longer periods of time as well as talking more. i have heard tumeric does help. i have family already using it . May I know if tumeric helps to improve the quality of sleep on advance stage dementia patient? My mum has serious sleep disruption problem especially at night. i agree , at this stage i dont think much will help them .its so sad . Exactly!!! I just had to take one of my anxiety pills my dr put me on because of him!!! The last 2 days have been nonstop yelling at me and I've had it!!! He's in his 7th year. HELLO, THIS IS DOUBLE SPEAK AT ITS WORST. THE FIRST STAGE IS YOU DON'T HAVE IT. THE SECOND STAGE IS YOU STILL DON'T KNOW YOU HAVE IT, BUT YOU DO. THE THIRD STAGE IS YOU HAVE IT, MAYBE, BUT A THIRD OF THOSE DIAGNOSED WILL RECOVER BY THEMSELVES, A THIRD WILL BECOME NO WORSE, AND A THIRD WILL MOVE TO STAGE FOUR? tHESE AREN'T MEANINGFUL NOR USEFUL DISTINCTIONS. JUST MORE ATTEMPTS TO CONVINCE FOLKS SOME ONE KNOWS MORE ABOUT DEMENTIA THAN THEY DO. why are you angry ? i think this information is helpful . He does not sound angry to me. I felt the same way about steps 1-3. Steps 1 & 2 were not needed., Info is very helpful. just should have started at step 3. Dementia is a frightening illness with no cure. Expressing frustrations is OK. No-one has all the answers. Lists help some people. My husband has developed it over the past 2 years. No joke. 24/7 care-giving is commitment to looking after a loved one who sometimes knows something is wrong 'with their brain'. Frustrations occur on both sides. Every bit of information can be assessed for its usefulness in the situation, each one unique. Give your Caree the best quality of life you can ... its not their fault, and no-one knows why it happens. I agree with him. How can you count 'normal' as a step? Truthfully, Step 1 is Step 3 on this list. Be Careful. If there were a cure out there, someone would be rich and famous! We would know about it. I have been caring for my mum now for almost eight years, she forgot who i was years ago. We are now in the last stage..... It has been very very hard at times and for us i think stage late 5 and 6 was the worst.....Now she is bed bound, cant talk . all she can still do is eat, and the best is she can still smile... Its a long long sad road.. But i would do it for her all over again. I am going into stage 5 with my dad..he still knows me because I am the main care giver of the 5 siblings. Its difficult because he keeps pointing to his brain...knowing darn well it is not working right..I tell him its not your fault...the connections in your brain are not flowing right...I tell him its his job to pray and my job to take care of him...we have had an amazing journey these past 4 years and I wouldn't trade a minute of it...but the toughest part is still ahead...God bless all u caretakers. ..
You sound the perfect carer Karen Western, to have looked after your Mother for nearly eight years is wonderful I was a carer for my darling husband for two & a half years & a stroke hastened the dementia which hospitalised him then to a nursing home. Seeing the decline of a loved one is I think one of life's hardest things to bare, the dementia my husband had was "Lewy Body" named after the Doctor that discovered it. My thoughts are with all carers for people with this horrible decease, keep strong & get all the help from the proper authorities to allow you to keep going with your wonderful tireless work. God bless you. You are a very special daughter indeed I quote: "But I would do it all over again"
My wonderful grandma is at stage 7. I live in Oregon and she and the rest of my family lives in California. I had to fly down to California about three weeks ago to say my last good-byes to her. I hadn't seen her in about a year maybe a little more. When I first saw her she stared at me and then began to cry and that set me off to where I was crying too. My grandfather thinks she might to the smallest remember me. I have been very close to my grandparents and have always cherished them. Before I left the hospice, it was just my grandmother and I in her room, I was rubbing her head to help her go to sleep, when she finally got to sleep, I whispered to her how much I loved her, that I am blessed to have her as my grandmother and she has always been a wonderful grandmother, I told her that I don't want her to suffer anymore that I want her to be in peace. My grandmother has been having seeing things from 3 men sitting on a couch in her room (there is no couch in her room), a little boy (there is no small kids in our family) and animals. She eats a bit. She is mainly bed bound due to she is so weak. She can hardly talk. When I told her I loved her you can see she was trying with very little strength that she has she pushed out "I love you" to me. I have been praying for her and I really hope she is at peace soon. I love you grandma! Reading the stories on this page made me cry, but in a good way, because I can relate to all of you, but Christie Moore, you touched me the most. My mom is exactly where you grandma is in your post. She is seeing her mother in the room, having conversations and telling me all about it. She is asking me if grandma is visiting me as well. She is seeing her daughter who lives 1000's of miles away in her room and she is talking to her for hours. She lives in California and I live in Canada. I visited her only 2 months ago, and she was quite all right. Today for the first time I called her and she didn't recognize me. She was completely in her own world. I'll try again tomorrow, hoping for better results. My mom has been in a nursing home since June of 2014. She was diagnosed with Alzheimers mid 2009 to mid 2010. Although we suspected much earlier, 1998. She used to have bouts of crying for no apparent reason. Out of the blue she would bow her head and just cry uncontrollably. It would end as quickly as it began. By 2009 she couldn't remember our (childrens) names. She resorted to being a little kid and would grab toys out of her grand kids hands. We had to explain to our kids what was going on with grandma and just have them play with her. In March of 2014 she had some type of stroke related to Alzheimers. That is when the doctors told my dad that she couldn't go back home. She needed 24/7 care. She is no longer able to speak with us, or walk or even hold anything in her hands. She is fed pureed foods and is in a wheelchair. My dad goes 3 times a day and spends all his time with her. He feeds her thickened water because regular water could drown her if swallowed and it goes down the wrong pipe. We are pretty sure this is the last stage of Alzheimer, but we don't know for sure. I do know that if she could talk she would tell us that she does not want to live like this. It is hard seeing her this way. I try and visit her 2-3 times a week. When I do see her I sing the songs she sang to us and my kids when they were babies. If anyone out there does read this I would love to hear a response. We are doing everything we can to make her life comfortable and hopefully she has no pain. Does this sound like ending stages of Alzheimers? If so, it sux. It's hard on my dad. His life revolves around the love of his life and watching her deteriorate is difficult. I'm hoping that by the time my children are in their 50's to 60"s there will be a cure, or a medication to eradicate this disease entirely. Good luck to all out there who are taking care of a family member with this horrendous disease. - Joyce W.
What the brain does not remember, The heart will not forget! Sundowners was extremely hard on my husband until he was admitted to a psychiatric unit of a hospital. They evaluate, observe and prescribe until they find the right combination to calm the patient and allow them to relax and rest. I am thankful for their efforts. My husband has been diagnosed for over 9 years and i am grateful for every day that I can hold his hand, see his beautiful smile and bright blue eyes, and dance with him. He hallucinates, he's incontinent, he's not able to maintain hygiene, but he still feeds himself(hearty appetite) and he walks confidently. He knows his name and he knows mine. I was his caregiver until the sundowners hit and he couldn't rest, he was like the energizer bunny. The memory care unit offers security and peace of mind as well as tender care and understanding for the residents. We are blessed. The only thing I can say for this disease is " deal with them", your all they have and trust, and I am not even family or even ever met this AD couple until 3 yrs ago and 3,000 miles later from Boston to MO I am probably just what they needed as I did!!! That's how the lord and world works!!!! My father has been showing signs of dementia for the past few years. I recently returned home for a holiday after being abroad for 2 years, to watch him go absolutely berserk in the space of a few hours. He was swearing, threatening, and prepared to be physically violent to me. This all came from a letter he'd received from his car insurance company which he'd talked about several times throughout the day. Next day realizing what a jerk he'd been the night before, my mother told me that that was her daily life now having to cope with this and that he was going to see a Doctor (the next day) about it, reality was he was going to see a practice Nurse for his scheduled diabetes urine test, so clearly he is manipulating everyone, since he did not see a Doctor and did not relate the events. The problem is he hides his symptoms from his Doctor and will not take medicine. I found him to be actually terrifying. Next morning he asked my mother who that was in the room downstairs. Most of the time he is quite lucid and normal, but I suspect a bit of sundowning is going in, since his agitation starts as the evening begins, and at that time he goes to his cabinet and starts to drink whisky (by himself) which only makes the situation more complex. He is afraid to drive his car, but insists he is a great driver, traveling with him in his car can be a terrifying experience, My own thoughts are that he is already in one of the later stages of Alzheimer's but his refusal to consult a Doctor is preventing any suitable treatment being worked out. My mother now cares for most of his needs, and he tends to follow her around the house and even to the Bingo now - he never played Bingo before - so it is difficult to say how his capabilities to fend for himself have become impaired. I feel he is just not prepared to seek help or effective medication, and for that reason cannot imagine at this point how things will progress. You might want to check out "Elder Rage" in the bookstore, written by a lady who went through something similar. 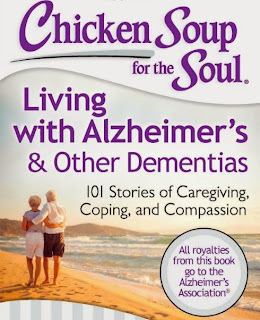 It's in the "Caregiver's Health" section. Dear Marvin..I wish to answer you more in detail later as I have a appointment now. With the driving for your Dads sake and others take away his keys. Explain he could hurt some one because he is not thinking good today. Or do something to the car so it won't start. My husband was saying he could drive, et when he turned into on coming traffic made a left turn on a red light arguing he could do this. The neurologist said no more driving and told him he could not stop soon enough if child ran out into the street. Coming from the DR did help him somewhat to understand and I kept the keys. Perhaps tell your Dad he needs to renew his license and he most likely won't pass. Sometimes you can get a LO to a doctor who understands dementia by saying you have to see this doctor so we can get your insurance renewed. Fiblets as we in the AD world call them are allowed in the AD world..God understands. He will then perhaps get the meds he needs to help him. I know from experience always ask to start at the lowest dosage and more can be added in a week or so if needed. 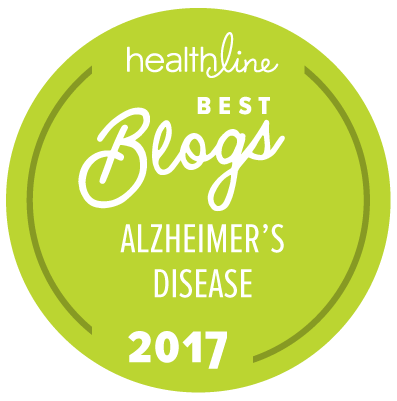 I cared for my husband in my home for 7 years and am a moderator for an Alzheimer's Support Board. Will be back later my main concern is your Dad certainly should not be driving..if he harms someone you or your Mother will be liable because you know he has some form of dementia and/or he could harm someone or himself. The other is the safety of your Mom because I saw what rage done to my husband..she could be in danger. Do what you can to get him evaluated soon.. One other thought have whomever is seeing him write a prescription that he will see so and so on...this has worked for others. Later..take care it is all very difficult. My mother was diagnosed with Mascular Degeneration in 2006. I was divorced at the time so I sold my house and bought hers in 2007. She later was diagnosed with Dimentia. In December I had to call 911 . She was having panic attacks that lasted all day. My mom is 92. I have been caring for her since 2007. I am her prime caretaker and I now have Hospice in to help me. According to this she's in stage 5 and getting worse all the time. She hullucinates everyday and most of the time is very agitated. Playing with her fingers and bed clothes all the time. She is seeing and hearing relatives that have past. When she is agitated I can't calm her down. It's like she's in her own little world. I see her getting worse everyday. I get very little time out of the house but that's ok. I wouldn't give up taking care of my mom for the world.She raised me all those years. I am 61. Now it's my turn to take care of her.My mom has been bedridden since December 30 th of last year. So sh'e been in bed for 3 months now. Mary, how's your mum condition now? Does she has sleep disruption at this stage? hey guys my grandfather is 88 going on 89 he's a very able and independent man he can do simple tasks around his home .. he recently got a pank button which is a great re-leave to him and our family, i visit him as often as i can as he lives 50 miles away and i spent the whole day with him, my last visit before he was getting very upset as he misplaced his walking stick and got upset and cried for ages it took me over an hour to cam him down , iv just come back from my recent visit and he's been explain g to me he sees things (people) he was tell me that a man shared his bed and he' s been there for months , the other evening a lady sat in his arm chair and never spoke to him then next thing she was gone . he asked me to explain this to him ,(as he lives alone as his wife past away a few years ago ) i told him is eyes are playing tricks and maybe he's dreaming . he's told me other story's in the past and i find it hard to explain to him .. should he be on any medication to help with this ? as there is no information regarding stages about this. My husband has had it only a short while and not sure if is dementia. He is so loving and caring about every ones health and feelings that day and Have I called all the kids. He sleeps late in the morning and I take advantage of that time to be on Facebook and research.He has Sundowners bad.. Things start going down hill around 3 PM and many times he has already eaten and then wants to know when we're going to eat . Trying to sleep with him is a chore. He's asleep but kicks and scratches my arms .. Says he just wants to hold me and I have read that holding and touching is a very good thing for them but I get no sleep. If I get up then he gets up too and comes where I am..He is so loving and whatever I want to do for food is o k with him also spending money .. I have no one that relieves me.. I take him with me when I have to go to town but in this Valley the weather is getting hot and can't leave him in the car. Also has got out and came hunting me 3 times. It seems I am his whole life. Asks me where are you hundreds of times a day and I always tell him where I am going like to bathroom, do laundry , wash dishes etc.. I make it ok during the day but the nights are what wear me out..Dr gave him some Clonazapam for the restlessness and after 2 days he was not able to walk. Was down crawling on the floor and fell several times. Called 911 and E R decided it was problems from the drug even tho was only 1 MG..Was admitted and also found he had some inter-cranial bleeding..Very minor but wondering if it can get bigger..Walking very good with his walker... I have enjoyed this reading of other people and how they handle it..
"Eyes playing tricks", as you call it, sound like hallucinations, which are common in Lewy Body dementia as well as other types of dementia. The thing to do is to ask a neurologist. To learn more about Lewy Body dementia, go to column to the right, and under the section called, "Pick a Topic", click on "Lewy Body". For even more information on Lewy Body dementia, try the Lewy Body Dementia Association at LBDA.org. Well, where do I start. My discovery of this web-site has opened my eyes to the fact that there are very many people suffering from this terrible illness. Although we are British, my wife and myself live in the country in Spain. For more than 6 years Audrey has suffered Dementia or Alzheimer's. The Spanish doctor is sympathetic and prescribes a number of drugs, which I will not name here in case the names are different where you are. Audrey takes the drugs each day but as I am the one who makes her take them, I am the bully. One contributor mentioned the eyes. I agree, a valuable indicator. I often see fear in those very eyes. The fear of the unknown, the fear of not recognising family and relatives. The fear of anything unfamiliar. This disease affects more than one person at a time., usually the carer. My wife comes out of dementia. (my words) As if a switch is operated. This has happened 4 times in 6-1/2 years. When this happens., normality returns, but not for long. The last time was about 4 months ago and lasted about 3 whole days. I no longer am amazed. I know it will return and possibly with a vengeance. It's not really noticeable until it reaches the later stages. after reading this,i have symptons from most of the stages.but guess im at a stage 4.cannot take meds for it .i remember 50 yrs ago but most times not this morning.do goofy things, like falling for scams which i would never ever have done.buying things, forgetting im not a big family anymore,(my child and family want no cntact) found dish cloth in oven, just small but very disturbing things.i also have narcolepsy so , can only trust myself to cook at certain times, but do pretty well with that anymore.have a great fear , of the time when ill have to go in nursing home.i have become very touchy , and dont seem to trust like i once did.thx for letting me vent, this whole article got to me.you know , ignore it will go away?not this time i fear. My husband was diagnosed with vascular dementia...I can't join any support group as I can't leave him alone. I have thre four hour sessions of respite where I just go shoppinng to take a break and know he is being looked after. He was a brilliant man..i don't understand a lot of this tho I am educated. He is sleeping a lot, eating less and less each day, lots of sundowning. One other main issue is he is blind...due to diabetes...does the lack of visual stimulation lead to a faster progress of the disease? He has had a total of 7 tia's, strokes or seizures. He is very immobile. I won't put him in a home unless he becomes abusive...what is the life expectancy of a patient with vascular dementia? How do you know if your loved one is in stage 1 thru 7? We did the MMSE test every morning with my wife. At fist she answered 29 questions. Now she can't answer one. Today we will see her neurologist for the past 14 years. His longest living patient at her age (89). Compassion and common sense can't be taught to those who care for your loved ones. After four clinical trials I can't help her at this stage. If I could I would take her to Mexico and have them do the stem cell treatment. The one Gordie Howe's family did for Gordie. This disease has to be the worst disease ever. My father is in stage 6. Mom has been his caregiver for 3 - 4 years. She is so tired but she wont give up. Recently he didn't know who she was - 5 days. Had her call me - his daughter - 3 hours away - to come. To find mom. He knows his wife is Barb. But the lady he sees is not her. I called her mom - he looked at me like I was crazy. He didn't want her to sleep with him - he has to have help getting dressed - he didn't want her to - he asked her how she knew me - he told her she could leave while his daughter was there. This all happened to this extreme one morning and didn't come back. The cost of a home is outrageous. In home care is outrageous. Sundowners is very interesting. He told me the people who come in at night want to put his TV on the floor. You should never argue with a dementia patient. It is very difficult. He shuffles around and follows me all over as I am the one he remembers. If mom went thru this for 3 - 4 years I don't know how she does it. What happens now? How do I get mom to accept help. She cant go to the store because he gets out of the car. I don't want to lose my mom and she is not ready for a home - what do I do? This sounds like my mom. She passed away on Nov.14th at 97years old. She lived on her own until a heart attack and hospital stay in April of last year. After an (awful) 2 months in rehab, I brought her to my home and became full time caregiver, with home healthcare sending a nurse and PT twoce a week. Kept having TIAs (mini strokes). From the beginning, she was having Vascular Dementia, and thought I was someone else who just happened to look just like her daughter. It was bizarre. She constantly asked me questions and was trying to figure out how I knew so much about her. It got progressively worse as there became 2 others who looked like me (even dressed like me!) as well as sometimes I was her sisters or her mother or a childhood friend. She thought my husband was my father, and my daughter (her grand-daughter) was her sister. After another stroke and 911 call in July, she was admitted to Hospice home care. The social worker figured out that she was suffering from several delusions... particularly something called "Capgras Delusion Syndrome", in which the person believes that you are an imposter double. I was usually one of these other people and only occasionally did she see me as her daughter. I couldn't find much information on this, but did read that you should not confront them (it is REAL to them) but you should also not support it. I told her that I would always be honest with her. I found many ways to dodge her questions, and sometimes we just agreed to "not talk about it". I kept a journal which was helpful for me and I joined a caregivers support group. We hired a visiting Angel to come every Sunday morning so we could go to church and then out for a lunch date! I prayed a LOT. I would have loved to have talked to someone else going through this. I felt like I was in a nightmare and couldn't wake up. But we got through it (Hospice was WONDERFUL) and I have gotten off of my anxiety medication! I am so glad that I was able to persevere and care for her until the end. Make sure your mom has help and gets breaks. My adult children would come and spell me sometimes. It won't last forever even though it feels now like it will. God bless you. I pray that there can be a cure for both Alzheimer's and Dementia. No one should have to go through something like this, whether it is the patient or caregiver. No one deserves to go through so much pain and suffering. It's just so wrong. my dad is not able to talk at all. any idea how to communicate with him? My Granddad died in June because of dementia. Also, as he was no longer able to communicate, was he lost in his head or did the dementia shut any thoughts down? I also feel guilty because I cried in front of him. My mother went through all stages of Alzheimer's over a period of almost 8 years. I used to hear that Alzheimers can have a very early onset that is hardly diagnosable. Would that be right ?. I can remember her doing occasional strange things. I do have a memory of her coming to my graduation - as a mature student - and seeing her walking with her handbag hanging from her hand almost touching the ground. Her bag was wide open for anyone in the crowds to help themselves to take anything from it! This was so not what my mother normally would do. I let it go. There then was my father's pride. As the years past, gradually more seemed to be 'not right' in their little bungalow and there was a distinct smell more and more. Getting through the pride of their generation is very very difficult I my belief. Eventually I was able to 'prise' my mother away from dad for a day or two so that she could spend time at a day centre where she was bathed and enjoyed company and was cared for and it gave him a break. The impossible situation grew and grew for dad. One night he collapsed ........she would hit him, scream at him furiously, want to go out to look for her two cats in the night but of course dad had had to lock her in and endure the stress on his own. I lived and worked almost 90 miles away. I only found out much more later on. When dad collapsed he managed to crawl to their wall phone and call an ambulance. They took him to hospital and he was diagnosed with pneumonia caused by stress. The consultant made it clear that although he recovered well, he was not to return home until my mother was placed in a care home. Only at that point did things speed up.The first Christmas she was at the dare home, I had visited dad too in the bungalow and brought him a small indoor plant as a present. He muttered that it wasn't really his 'thing' to look after and said it was more the sort of thing mum would be able to care for WHEN SHE IS BETTER and when she comes out of there.....meaning the care home of course. So much of this story is full of details I have not expressed. It is a hugely destructive thing is Alzheimer's to partners, families and friends. So sad. I know everyone who has written their stories will understand mine. Dad died of lung cancer in 2010 aged 91 though he had stopped smoking in his early forties. He obviously developed the cancer through my mother's smoking heavily all her married life . Mum died of Alzheimer's and vascular dementia in 2012 . Did the smoking play a part? Reading others words gives me some strength . I just wish the very great lack of support any of us had from the NHS could have been better for longer and not only there for the crisis. You know, I've heard other people report that type of behavior many times, with alzheimer's (the thing with begging you not to leave, then spontaneously switching gears and saying you can leave). My grandmother, whom I take care of, likes to follow me around and literally every time I go to use the bathroom, she will be knocking on the door 30 seconds after I close it. There's never a good reason either. It's always "just checking" or "just saying hi". She does the same thing with constantly ringing my phone, then saying she "just wants to say hi", etc. (even if I was just physically in the room with her minutes ago). Point is, I'm not sure why but this constant needy behavior is apparently typical. My grandmother is between 5-6. She believes there is nothing wrong with her, and if you bring up the fact that she just asked you the same question 8 times in 2 minutes, she becomes hostile and flips out. I've had to switch her aspirin with lactose tablets, because she takes about 20 a day and was poisoning herself with aspirin (at one point, she had bruises all over her body). She also pathologically hides things; including things that aren't even hers. She's called the police on me numerous times for nebulously-described non-existent "abuse" and also for "cutting up her cats" and hiding their bodies in the garbage. Any time she sees me take the trash out, she will sneak outside to go through it, expecting to find her cats from 20 years ago. Oh yeah, and recently she spontaneously tried to give away her elderly cat, who sleeps at the foot of her bed every night. When questioned, she was unable to articulate any sort of answer. Lately, she likes to ring my phone 30 times a day (especially in the middle of the night) because she perpetually believes she is having a heart attack (hence the aspirin consumption). This is despite her being in remarkably excellent health, aside from her brain. Thankfully, she can still use the bathroom unaided. However, she has no capacity for memory whatsoever. That is to say, she will immediately forget what just happened minutes ago 100% of the time. I wish I could get my mother into a neurologist it is a 6 month wait list to see the nearest neuro and the next city is 50 miles away. Her GP is doing his best to give her comfort I believe she is entering stage 7 ... it’s been a rough year I lost my Dad In January and my husband in March...it seems like her dementia accelerated at a rapid pace. She is healthy as a horse but her mind is gone. The sundowners and hallucinations are the worst. Finally got her on an antipsychotic medicine that helped slow the agitation and hallucinating episodes. I might get some sleep tonight. 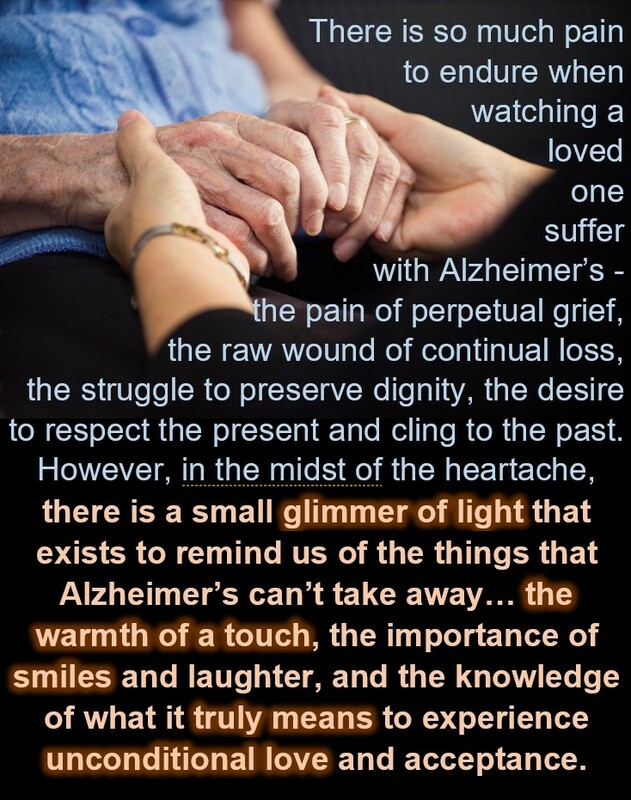 This is a great reminder that alzheimers has taken so many loved ones. I really wish there was a cure for this horrible disease! I really hope the day come sooner when this disease can be cured.